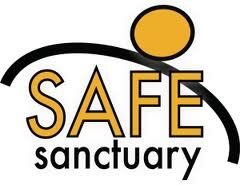 Safe Sanctuary Training establishes guidelines, policies and procedures to create an environment in which children, youth and the adults who work with them have boundaries of safe space. God calls us to make our churches safe places, protecting children and other vulnerable persons from abuse. ALL LEADERS MUST COMPLETE THIS TRAINING. For more information, please email Chaplain Angelia Tucker at atucker@bethesdacathedral.org.